There is a darkroom on the third floor of the Greenbelt Community Center. Much of the equipment was donated by the Greenbelt Police Department in the 1990s when it switched to digital cameras. Recently I met up with photographer Steve Skolnik at the darkroom and observed him making some black and white prints. 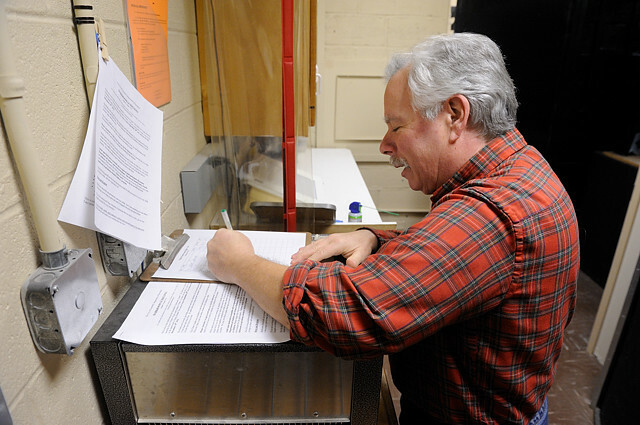 The darkroom is on the third floor of the Greenbelt Community Center, and here Skolnik signs in. Those who would like to use the darkroom are asked to register with the Recreation Department each season, and they need to attend an orientation and take a certification test if not certified previously. 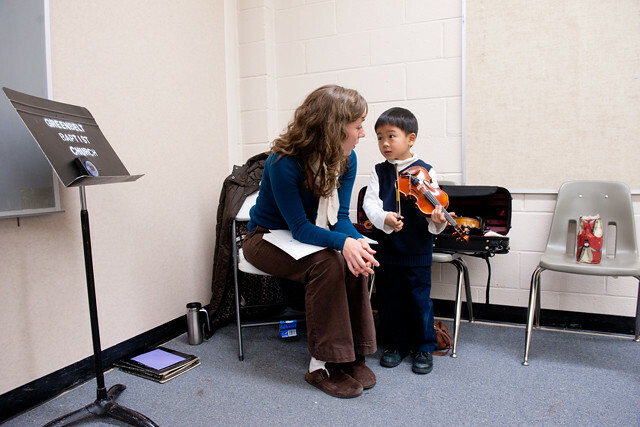 Alessandra Schneider teaches a Suzuki violin program in Greenbelt. She began about five years ago at Holy Cross Lutheran Church and now teaches at Greenbelt Baptist Church. Recently I visited her studio and observed two individual lessons. Ian is 4 years old. He started violin a year ago. The New Chicago Dance Studio was started by Samantha Fitschen in 2010. Fitschen is a native of Chicago and came to Greenbelt six years ago with her husband as he pursued his Ph.D. degree at the University of Maryland, College Park. An experienced dancer with a BFA in Music Theater, Fitschen soon started teaching dance for the Greenbelt Recreation Department at the Community Center. She saw the need for a dance studio in Greenbelt and hoping to bring Chicago-style dance to the area, she opened her own studio two years ago. On a recent Saturday morning, I visited New Chicago Dance Studio. The dance studio is at 7505 Greenway Center Drive, behind Greenway Shopping Center. 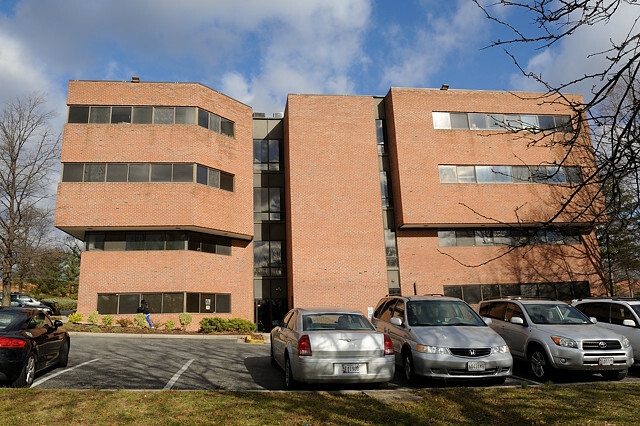 The main floor of this building is occupied by Columbia Bank. Greenbelt has many housing developments beyond the original GHI row houses and garden apartments in the city center. Here are photos from some of them. Two Greenbelters George Boyce and Eva Fallon are turning the abandoned dry-cleaning store in Roosevelt Center into a community clubhouse—Club 125. On Christmas Eve, I visited the club and took photos of them cleaning up the place. 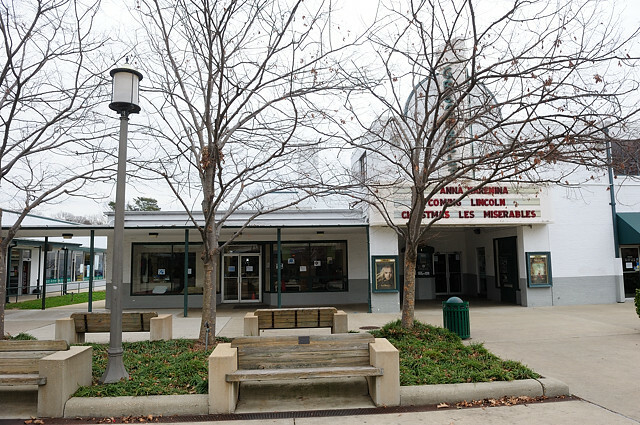 The former dry-cleaning store is attached to the Greenbelt Theater and adjacent to the Greenbelt Co-op. Its address is 125 Centerway, thus the name of the new club. The original owners of Greenbelt Cleaners and Tailors sold the business after more than 40 years. The new owners could not make a profit and decided to walk away. The store has been empty since April 2012, and George Boyce and his wife Eva Fallon took over the lease on December 1, 2012. 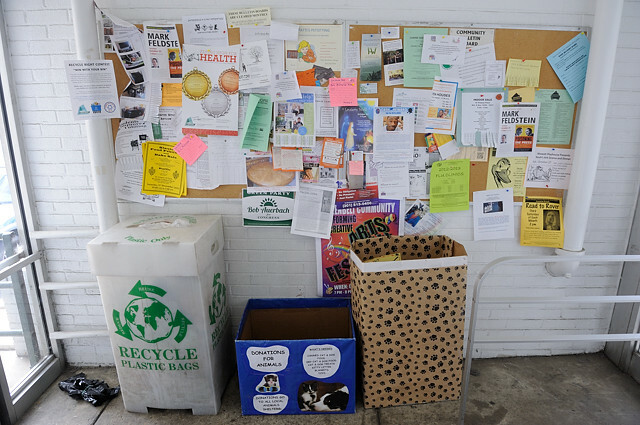 The Greenbelt Co-op has one of the busiest bulletin boards in Greenbelt. A while ago, I took some photos there. There is a plastic bag recycling bin on the left and two donations for animals bins on the right. It snowed the morning after Christmas. This was the first snow of the winter of 2012.